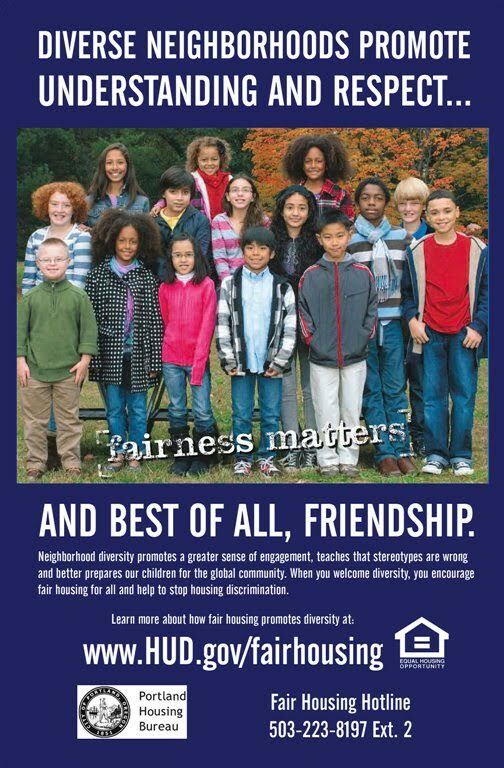 Multifamily NW strongly supports fair housing for all. Housing discrimination is unacceptable whenever it occurs. Landlords have a legal and moral obligation to offer the same opportunities and use the same policies for everyone. Landlords have a legal and moral obligation to offer the same opportunities and use the same policies for everyone. When Fair Housing laws are broken, violators should be held accountable. As such, Fair Housing education has never been more important to keep community awareness high and landlords operating legally. As an organization dedicated to quality rental housing, we have stepped up our efforts to ensure Fair Housing laws are adhered to in all rental transactions. Developing strict protocols and consistent materials to ensure the same information and available units are shared during preliminary interviews. Increasing the frequency of Fair Housing training and expanding training partnerships with county and city housing agencies to ensure consistent, available training for all landlords, and to raise the visibility of Fair Housing responsibilities. Supporting expanded Fair Housing audits that ensure frequent, independent feedback on compliance with Fair Housing laws. Taking these steps is a priority for the Multifamily NW Board of Directors and the Association. Fair Housing isn’t just the law of the land; it is the right thing for all of us to do, and our commitment to every person that wants to call a rental their home.